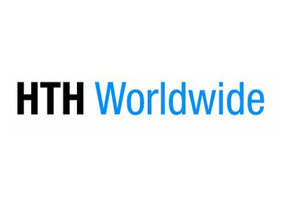 One of the underlying companies of Highway to Health Inc., HTH Worldwide is world's leading travel and international health and medical insurance providers. The company was established in 1997 and has since then been expanding its business through highly relevant and innovative ideas. In 2010, for instance, HTH Worldwide launched an iPad and iPhone application named mPassport. This application is able to locate bilingual doctors and health professionals in the city of your coverage making its extremely useful for expatriates far away from the familiar environment of home. HTH Worldwide provides comprehensive products and high level customer services to its policy holders. In Russia, HTH is able to seamlessly blend technological innovation with an outstanding commitment to service, ensuring that you are always able to receive the treatment you need, when you need it, without any confusion or uncertainty. If you would like to get more information about HTH in Russia please fill in the query form at the top of this page. Alternatively you may contact us in order to seek expert advice directly from our knowledgeable Russia Health Insurance consultants.